The Angelic Team we will be working with are assigned to work with the Oversoul created by our family units. They help by restoring harmony, balance, love and respect to all families. 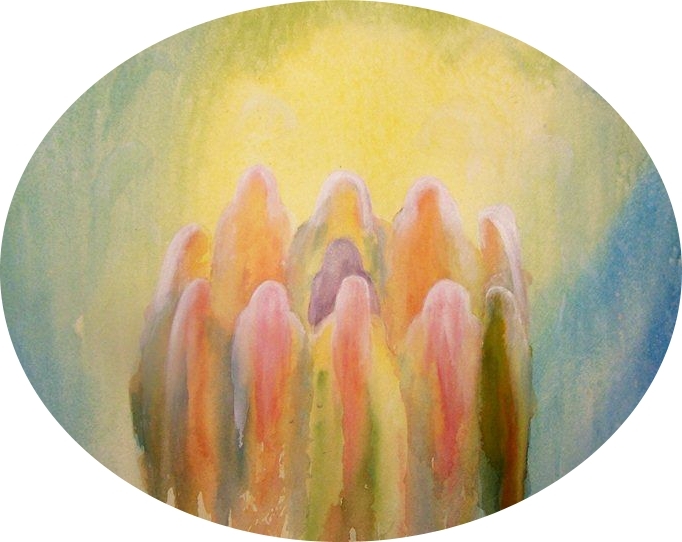 The Angels work on an individual level with each family member and also with the collective family dynamic. This can be your immediate family: parents, siblings, partners etc, as well as those friends or colleagues you just somehow know at an intuitive level that you share a deep soul connection with. So when we speak of Earth Soul Family do feel free to add those who you know are outside of the standard family unit. If you feel you have become disconnected or estranged as a family, are tired of the constant tension, disagreements and misunderstandings, or just feel as if you have drifted apart, then this session may be of great help to you. This system also works with your Whole Family Oversoul, not just those of you who have incarnated at this time, so this includes strengthening the bond even with those who have passed over into the higher realms. Much wisdom and guidance travels down through our ancestral line, along with abilities and gifts of all kinds, especially spiritual ones which we can tap into and develop further. An elemental analysis of the collective energetic balance of your Earth Soul Family. I will advise on how to improve this using a variety of methods, both energetic as well as physical activities. I will go to the root cause of the imbalance and examine the strengths and weaknesses of your Family Blueprints and how shared past lives have affected this. This will include Karmic agreements and cycles of behaviour. The full name and date of birth of yourself and each soul family member you would like include in this session. Remember this can also include friends, neighbours and colleagues if you feel strongly there is a soul family connection there. Details on the imbalance you would like me to work with you on, including all relevant members who are affected directly by this. How your relationship with them has affected your life and wellbeing would be helpful, good points and negative ones, strengths and weaknesses, and any cycles of behaviour you feel you are repeating personally or as a family that you would like to release. All feedback will be sent by email as a Word Document so we both have a permanent record of what has happened to refer back to if needed. During your session I will enter into a deep shamanic trance meditation and journey into the astral realms so I will not be able to communicate with you vocally. For this reason I do not use the phone or Skype as it would keep pulling me back into this world and weakening my connection to both of our higher self aspects.